Anyone tried "morse stick key" ? As you probably know the Palm range of keys are basic mechanical paddle keys with no electronics included. The Palm range relies on either the keyer built into the radios we use or on an external unit. So your design goes further than the Palm keys did by including the dot/dash electronic timing circuits. Is your intention to use the key with a portable transceiver without the keyer already built into the unit I wondered, hence your need for the battery and associated mosfet circuit? There is no keyer in my paddle. The mosfets are just to short the dit/dah circuits inside the radio just lke Vibroplex, Palm Paddles, Bengali and the like. I am still using the built keyer inside the radio, in my case an Elecraft KX2. The battery is just for putting a voltage on the Gate of the mosfet so when you touch the pad it shorts the line to ground/earth. I built mine so there will be NO moving parts or contacts to get dirty which for me always happens on the SOTA summit. If you want/need more info you can contact me here or via QRZ. so when you touch the pad it shorts the line to ground/earth. You ever been to Scotland? Thanks for the info Tim. The battery and MOSFET threw me. The Palm keys certainly don’t need or contain that circuitry to function, neither do the two Benchers I use at home. I don’t know the intricacies of Vibroplex or Begali paddle keys as I am unfamiliar with those. The four paddle keys I have (two Palm and two Bencher, a chrome and a black, use a simple metal to metal spring contact at the points, no electronics whatsoever. Looking again it appears your keyer has no moving parts then and relies on contact with the skin on your fingers to produce dots or dashes - like using a touch screen I suppose… I’m old sckool in that case, so I wouldn’t mind trying one. Final comment - if that is the case would your key work if you were wearing gloves? Ce gant type mitaine Portwest Insulatex offre une grande dextérité.Il est en acrylique doublé Insulatex pour plus de chaleur et de confort. Nope…but I would be nice some day. OK Phil. The mosfets just take the place of the mechanical contacts that all. The sensors are pressure sensitive and not capacitive. Feel the fear and then smell it… go for it Paul! I have a similar pair to those Eric - available in the UK under the brand Thinsulate with a thermal lining. Quite cheap and OK for casual, not everyday use, or they would quickly wear out quickly. They are lined with a thin cream coloured fleece lining. I wear mine for the odd Morse activation I do during the winter. I put them on when I reach the summit and erect the antenna and station. I wear tnormal winter gloves or mitts on the walk in/out. I think more expensive better quality versions favoured by shooters are also available. I wouldn’t recommend mine for a SOTA activation - they are essentially a neoprene glove with the trigger finger tip able to foldback and fix with Velcro. Just back from a shoot and mine are soaking (melted snow) and wouldn’t keep anything warm. So. Received the “stick” today. Good first impression, a tad larger than I thought. However, as many of you pointed out, it is very sensistive to moisture, or lack of it. Being very cold at the moment, I tried it outside. Eventually my fingers got too dry for the stick to register. Breathing and blowing in my hands, as I do when I’m out /P in the winter caused the key to go baaaaaanaaaaaas. Probably works good indoors if you dont get pileup nervous and break a sweat. Howewer, I do like the form factor. Very convenient to use. Takes up almost no space (except for crappy el-cheapo stiff-as-steel 3.5mm cable). I had lateral thinking this afternoon while walking the dog… as you do. Why wear the fingerless gloves on both hands when operating the key and get both hands fingers cold? 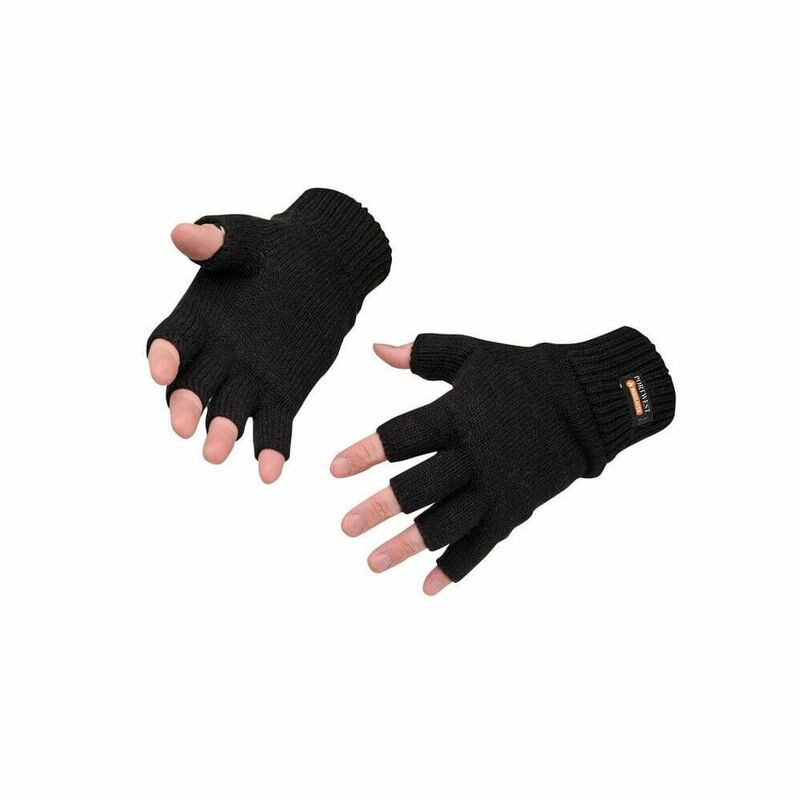 As I send with my right hand I think I’ll retain the thick and warmer full fingered glove on my left hand and just use the fingerless glove on my right hand in future. Mine showed up today. Seems to work reasonably well up to 25 wpm or so here in the shack. As the website says, it does not require a power source, i.e. no battery, no power stolen from the rig, etc which is interesting and is probably the main reason I bought the thing. Just plug it in like a mechanical key and it works. As SA2CLC says, fingers need to be slightly moist for it to work well but you can accomplish this by blowing lightly on them. It does not work at all with my gloves. It comes with black shrinkwrap over the circuitry so I cut that off and took a look. All surface mount, very simple - 2 caps, 2 resistors, 2 diodes and 2 “TR8” transistors (small signal mosfet) so presumably 1 set of 4 parts for each touchpad. No capacitive “sensor” chips of any kind. Looks like each touch pad consists of a series of closely spaced parallel traces with 2 leads per pad running up opposite sides of the pad and connecting to alternate pad traces. Not sure exactly how it works but I’m guessing the parallel traces on one pad alternate between gnd and “dot” while the parallel traces on the other pad alternate between gnd and “dash” and the pad’s mosfet senses in some way the reduction in resistance between traces that occurs when the pad is touched by a slightly moist finger and effectively grounds the line from the rig. Anyone got any comments on how it works? I’m going to give it a try on my next activation but will bring along my trusty “paddlette” key just in case. Well I gave the “stick key” a try on my last activation at Monte Largo near Albuquerque. Conditions were dry with a bit of overcast and temps in the mid 40s F.
Starting on 20 meters it worked pretty well at ~ 25 wpm for the first 20 minutes but then started to get balky. Not sure why. May have been due to the touch pad surfaces picking up dust/sand. Another possibility - at about the time I started having problems it got windy possibly drying my fingers totally. Breathing on my fingers to moisten them seemed to get rid of the closure hesitation for awhile but it would return after a short period. When I switched to 40 M I also switched from the stick key to my regular paddlette mechanical key and things went back to normal. I was activating with NM5S (Alan) and when he got done operating with his equipment I switched my setup back to the stick key and Alan took a try with it. By that time the wind had died down and he seemed to be getting along reasonably well with the stick key for the short period he used it. We both thought that, putting side the balkiness issue, it would take some time to get used to the key as it’s only a few mm thick - considerably thinner than the paddle spacing of any key I’ve used previously. Good Job Daivd and nice write-up. Maybe I will give it a go some day. Glad the QST article and maybe my simple schematic inspired you to make something a bit better, at least in my opinion. Hope it is working great for you.